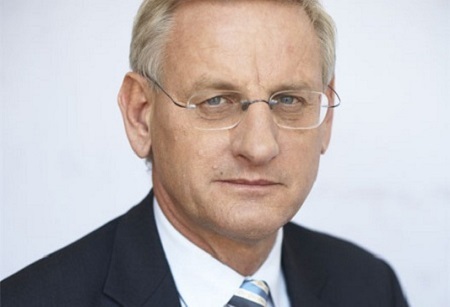 Sweden’s Foreign Minister Carl Bildt is expected to visit Mali on 14-16 February. This will be the first-ever visit by a Swedish foreign minister to the country. The visit aims to emphasise Sweden’s continued and enhanced support to Mali’s development and its long-term peace efforts, and to efforts by the EU, the UN, the African Union and the Economic Community of West African States (ECOWAS) to support Mali’s path towards long-term peace. Mr Bildt also wants to increase knowledge about Mali in Sweden and communicate Swedish messages to Malian and international representatives on how to continue dealing with the after-effects of the crisis. Sweden’s relations with Mali largely consist of development cooperation. The Swedish Armed Forces have also recently taken part in international operations in the country. Five staff officers are participating in the UN Multidimensional Integrated Stabilisation Mission in Mali (MINUSMA). Ten officers and instructors are participating in the European Union Training Mission in Mali (EUTM). “Sweden has an important commitment in Mali. We help maintain peace and also pave the way for economic development. It is important to have a presence in the country and study the conditions there in order to ensure that our support continues to have the right focus,” says Mr Bildt. During his visit, Mr Bildt is expected to meet Mali’s President Ibrahim Boubacar Keïta, Minister of Foreign Affairs Zahabi Ould Sidi Mohamed and Minister of Defence Soumeylou Boubeye Maiga.